Cherry Guidry has found her happy place...what's yours? Her new fabric line for Contempo is all about her sewing studio, and it's called, appropriately, My Happy Place. What inspired the idea for My Happy Place? I created an exclusive class project a few years ago that was a little sewing machine. When I made it, I was wishing I had fabric that went with it and knew that one day, I wanted a sewing machine fabric line. Can you walk us through the panel? The panel is it’s own sewing studio. It’s great as a standalone quilt for your sewing space—you can just stitch it in the ditch and bind it and hang it in your sewing space. The aqua on the background is the exact color of the walls in my studio. I do love the little signs in the panel. These squares are so fun! They’re 5”, so you can pair them with precuts to make a quick quilt, or you could make them into pincushions or mug rugs. They’re sewing sayings that you commonly see. One of my favorites is Thread Queen—I consider myself a thread queen. Whether I’m sewing or not, there’s always thread on me! Let’s talk about the coordinates in the collection. This little sewing machines are one of my favorites as well. So many of the elements in the panel are in the coordinates—machines, spools of thread, buttons. I love the stripe. 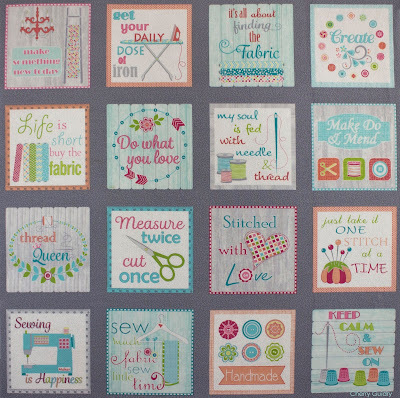 I love using stripes, because they look great in borders and bindings, and this one includes little sayings as well. 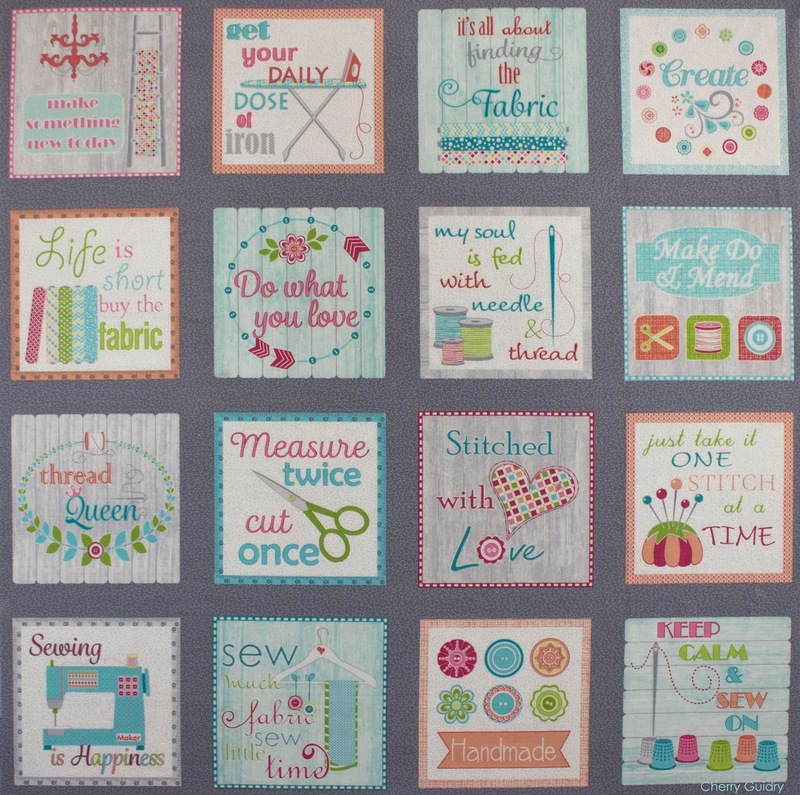 The text print includes sewing wisdom words—I love text prints—and the little sewing machine. It comes in five different colors and white. The larger button print was inspired by actual antique buttons, especially the one that looks like a pinwheel. The smaller button print is really cute, and looks like dots as well. 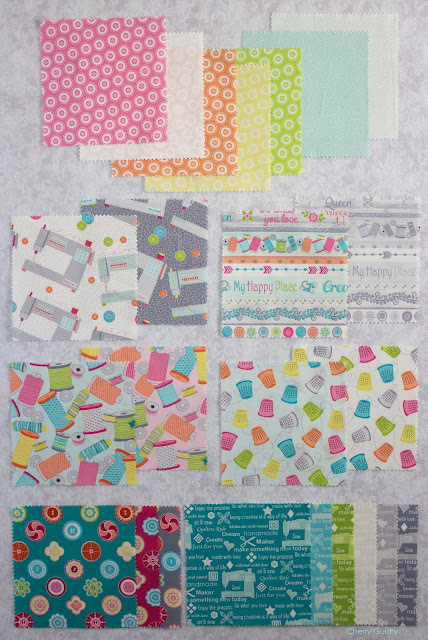 Stop back tomorrow for a virtual trunk show of Cherry's patterns!